Cannas were Grandma’s favorite flower in her garden! She awaited their big, bold splash of color that thrived in the summer sun and kept going until frost. 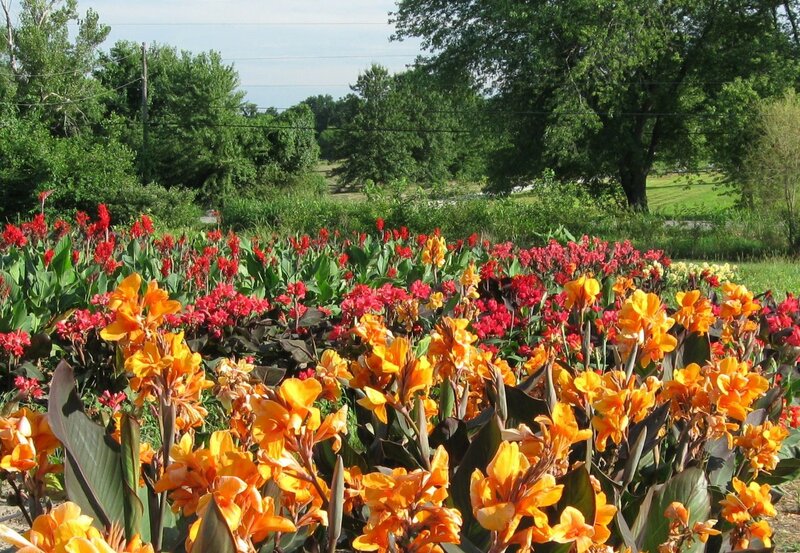 Like Grandma, you can plant for “color all summer” with dependable cannas from American Daylily. Collect nostalgic favorites and add new Dwarf Liberty®Cannas where the compact size better fits you need. DWARF LIBERTY® CANNAS – These new, improved Cannas offer luscious color all summer, but in a compact height that adapts to today’s smaller garden spaces. They are the result of more than 20 years of breeding and offer sturdy, dwarf stature, rapid increase, quick and clean shedding, profuse blooming, and resistance to heat, rot, and leaf roller worms. HEIRLOOM™ CANNAS – Reminiscent of Grandma’s garden are these old-time favorites which are ‘tried and true”, bold, and beautiful! These have been the most popular for many years.